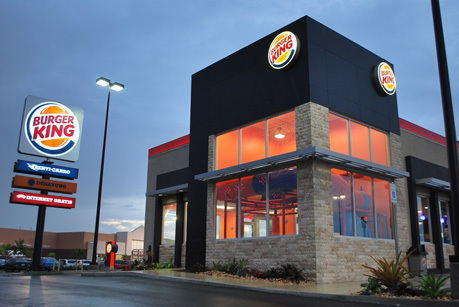 Power has been restored in 13 of the Burger King restaurants that are open. Caribbean Restaurants Inc., one of the few companies able to resume business in Puerto Rico the day after Hurricane María, now has more than 75 percent of its 187 Burger King and Firehouse Subs restaurants on the island serving more than 120,000 customers daily from 6 a.m. to 11 p.m., said CEO Aniceto Solares. The company has served more than 1 million people since the storm, he said. On Monday, 147 restaurants opened across the island, providing hot food and cold drinks in air-conditioned dining rooms. Thirty restaurants can handle payment by credit card and offer internet connections, but continuing communications problems necessitate cash transactions in the remainder. Power has been restored in 13 of the restaurants. The others are running on generators fueled by propane, he said. Roads blocked by debris and fallen power pole lines are a continuing challenge, but the company’s fleet of refrigerated trucks has been able to keep the restaurants resupplied from the distribution center in Cataño, across the bay from San Juan, he said. Another ongoing challenge is keeping the trucks fueled with diesel, Solares said. In the aftermath of María, Burger King has donated more than 15,000 meals to recovery crews and relief organizations, and has sold ham and cheese sandwiches at a discount to the Red Cross. More than 4,000 of the chain’s 5,500 employees have been working since the hurricane to operate the restaurants. The company paid all employees for the first week of the recovery, regardless of whether they could get to work, he said. Hey Buddy!, I found this information for you: "More than 75% of BK, Firehouse Subs open in PR". Here is the website link: https://newsismybusiness.com/more-firehouse-open/. Thank you.